or patio to enjoy the view. Mango Tango Potentilla likes to be planted in full sun. 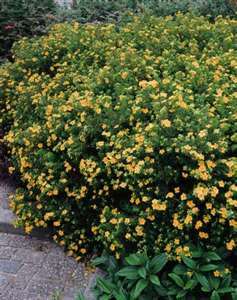 Mango Tango Potentilla also works well as a small hedge, foundation planting or in a shrub border. Try this one in a moon garden. It attracts butterflies and bees. It is drought tolerant once it is established. It is deer resistant and is also a Firewise plant.